Dr.Chithra Purushothaman is a Research Analyst in the Non-Traditional Security centre, where she joined in April 2017. She holds a PhD from the Centre for International Politics, Organization and Disarmament (CIPOD), Jawaharlal Nehru University (JNU), and has an MA in Politics (with specialization in International Relations) and M.Phil in International Politics from the same university. Her PhD thesis is titled “Emerging Powers as Development Assistance Providers: A Comparative Study of Brazil, China and India”. As part of her PhD research, she conducted extensive field study in Brazil during March-April 2015. Chithra’s research interests are broadly in the areas of international development, foreign aid, emerging powers and their development assistance, South-South Cooperation, Indian foreign policy, economic diplomacy, and energy security. She has presented her research at several national and international conferences, and has several publications in journals and online platforms. Prior to joining IDSA, she was a guest faculty at the School of International Studies, Jawaharlal Nehru University. 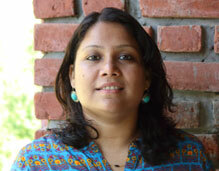 She has also held research positions at the Centre for Policy Research and MyGov India.